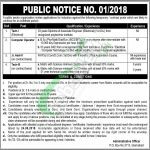 Tap this page for PO Box 3113 Islamabad Jobs 2018 Application Form Download Online. A Public Sector Organization invites applications for induction against the following posts such as (Technician-I (Electrical), (Computer Operator), Jr. Assistant-II, Technician-III). Appointment of these positions will be held on a temporary/contract basis which is likely to continue for an indefinite period. Candidates from all over Pakistan meeting criteria are eligible to apply and if we talk about the qualification/experience then for Sr. No. 1 DAE Electrical Diploma holders are eligible to apply, for Sr. No. 2 BSc/BCS/BIT or DAE Electronics/Electrical/Computer Technology holders are eligible to apply, for Sr. No. 2 Intermediate qualified candidates can apply and for the Technician-III Matric pass individuals are eligible to apply. Age limit for all the positions is 35 years. After the final selection, the selected candidates can be appointed anywhere in Pakistan and a handsome salary package shall be offered as per the policy of Government of Pakistan. Now, in the following, we’ll discuss the how to apply the procedure for the vacancies. 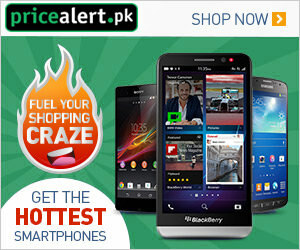 Application form to apply can be downloaded from the www.JobsAlert.pk. Application form along with attested copies of educational degrees/certificates/testimonials/experience must reach the following address given below. Name of the post applied for with Serial No. should be written clearly on the top right corner of the envelope. If anyone wanted to apply for more than one post, then he/she should submit a separate application. Only the candidates who fulfill the eligibility criteria will be called for test/interview. Last Date to Apply: August 24, 2018. Address: PO Box No. 3113, Islamabad.